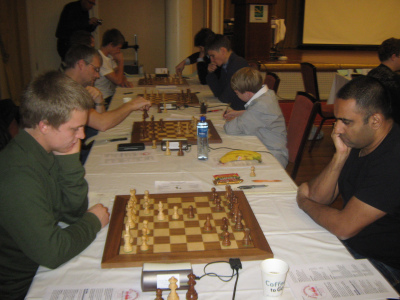 7th round matches live with live stream. Halkias also won in the opening round. og leder et halvt poeng foran Bård Fjellengen og nevnte Bentsen. 1.runde kl.12.30 og tre i morgen.25 lag deltar i tre klasser. 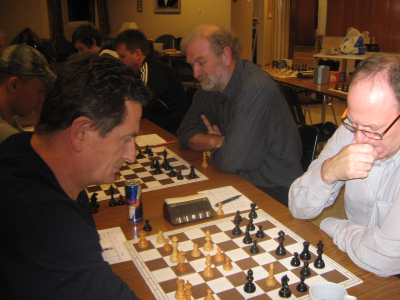 bak følger German Ortiz Springinsfeld, Kjell Gjesteby og Ragnar Knudsen. 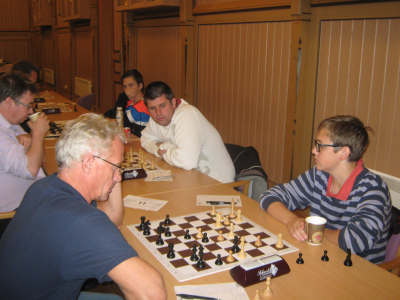 av klubbmesterskapet i Alta og leder med 6 av 6, full pott med andre ord. på delt 2.plass med 4,5 poeng. 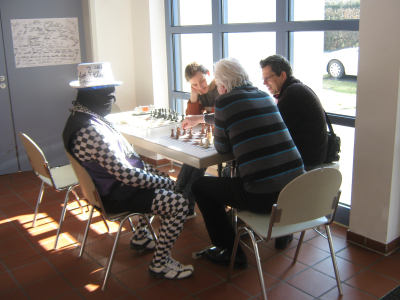 on Sunday in the match Forchheim-Aue. 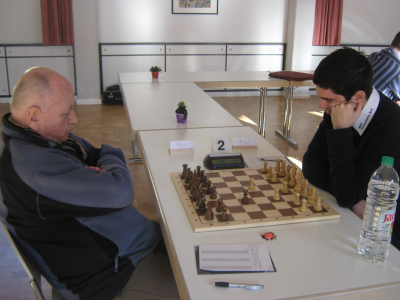 GM Gabor Papp (right) won the 2nd Board duell for Aue against Forchheim. 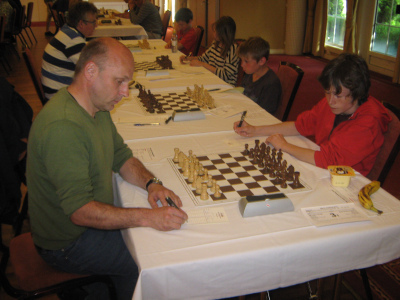 His opponent is the legendary GM Vlastimil Jansa. 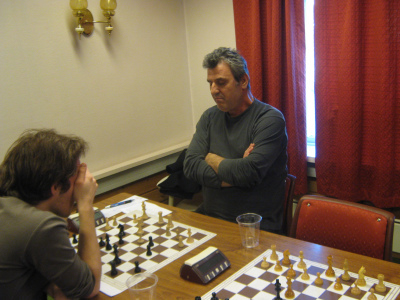 FM Roland Voigt (left) has started his game against GM V.Ikonnikov. 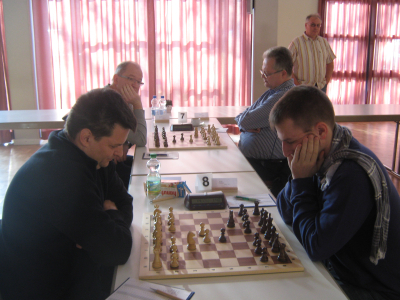 a play off against Wacker Neutraubling in Leipzig Saturday 25.April at 2 p.m.
his h-pawn decided in the end. 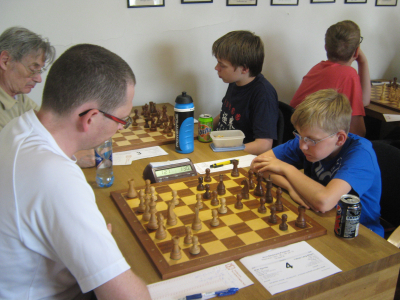 There was also time for some analysis in Bad Mergentheim last weekend. 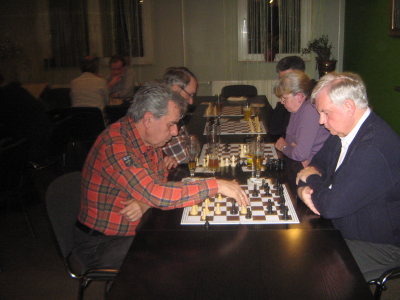 Some players just enjoyed some coffee chess with beer..
in Dresden in Germany.The 1st round starts at 4 p.m. (16.00).